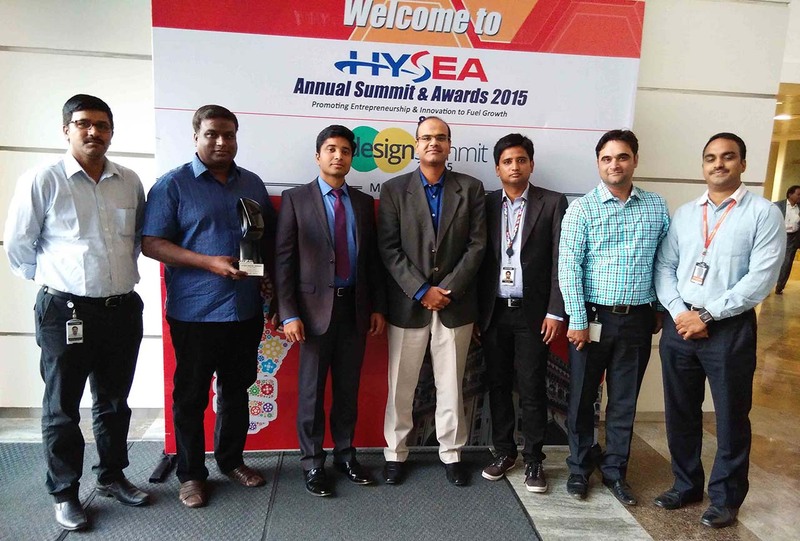 March 18, 2015 – Hyderabad – GlobalLogic was awarded with the “Best India SME” recognition at the 23rd annual Industry Awards & Summit on 11th and 12th March 2015 at HICC Hyderabad. Organized by the Hyderabad Software Enterprise Association (HYSEA), this two-day event brought together over 500 delegates, 50 start-ups, and several eminent speakers to share insights on the future of entrepreneurship and the IT industry. At the conclusion of the event, the Honorable Governor of Andhra Pradesh and Telgana, Shri. E.S.L. Narasimhan, presented awards to IT/ITES and software product development companies across nine categories. The event was covered by the local media the following day, including the leading Telugu publication, Eenadu. GlobalLogic is a full-lifecycle product development services leader that combines deep domain expertise and cross-industry experience to connect makers with markets worldwide. Using insight gained from working on innovative products and disruptive technologies, we collaborate with customers to show them how strategic research and development can become a tool for managing their future. Headquartered in the United States, GlobalLogic operates design and engineering centers around the world, extending the benefits of its authentic global presence to customers in digital media, electronics, healthcare, infrastructure, finance, retail, and telecom industries. The company works with both start-ups and industry leaders, including many of the world’s top hardware, software, and consumer brands.